Book collections are great, aren’t they? 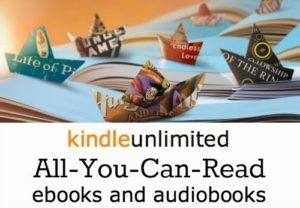 These allow readers to get a taste of new-to-them authors as well as new stories from favorite authors. 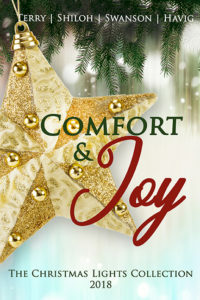 In Comfort & Joy, four very different authors band together to bring readers four very different stories. There is not common thread between them (other than them being set around Christmas) and they range from suspense to romance to mystery. 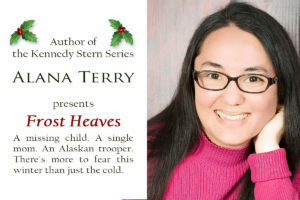 Alana Terry’s Frost Heaves leaves the heart racing as she delves into some complicated and just plain hard truths—including abuse and religious cults. 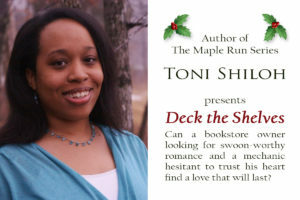 Then in Deck the Shelves, Toni Shiloh gives book lovers just what they want for Christmas. A story with a bookstore and all things bookish, mentions of familiar author names, and a romance that just fits with the season. 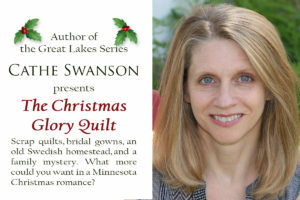 Cathe Swanson is one of those new-to-me authors, and I enjoyed hanging out with Penny and her Swedish family in The Christmas Glory Quilt. Swanson gives readers so much to digest in this book—a entrepreneur with a learning disability starting her own business, a family mystery, and a friends-to-more romance. 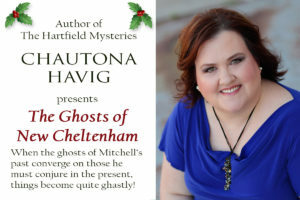 Chautona Havig wraps the collection up with The Ghosts of New Cheltenham as Mitchell moves into a potentially haunted home. With a ghost story to write in order to keep the home (did I mention Mitchell’s phobia of ghosts? ), plenty of people interested in his goings on, a town trying its best to be British, and two neighbors he comes to rely on, there’s no shortage of entertainment. This is a hearty collection, too. With over six hundred pages, readers can rejoice in hours of entertainment. “He sent out the biggest birth announcement ever known to man—a star, angels, music.” Then Dad continued his leading questions. “Chautona,” he said, “don’t ever put rules on yourself that God hasn’t. We may not be commanded to celebrate Christ’s birth, but we aren’t forbidden, either. We have God’s example to emulate, and we have this truth.” His voice gentled when he saw he’d startled me. 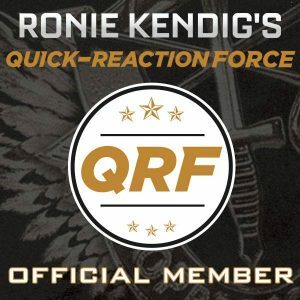 Some of these stories are really good!